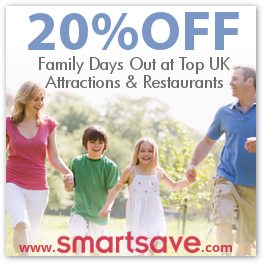 Scotland’s best indoor and outdoor amusement park, Codonas Amusement park offers amazing rides, attractions and fun for every member of the family. Situated in Aberdeen Bay, spend the day in a whizz of thrill and excitement as you eagerly race from ride to ride, stopping only to refuel at the all American style diner, Sunset Diner & bar. Test your nerve on the Vertigo Aerial Assault Course as you gradually make work your way up to the highest level, conquering each level, and any remaining fear of heights! The view from the top out across the bay is absolutely breath taking and well worth the climb! Face the rapids and be prepared to get a little wet on the White Water Log Flume, or visit an old favourite like The Disco Waltzers, bringing back memories of traditional fun fairs accompanied by the never ending disco music. 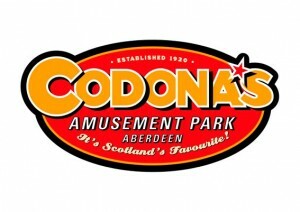 For younger children, attractions such as Super Trucks, Safari Kiddies Train and the Apple Family Rollercoaster will bring smiles and giggles, and, if you are lucky you might bump into Dodgem the Dog during your day at Codonas. For views of Aberdeen City and Harbour, climb aboard the Grampian Eye. The big wheels stands at 100 feet high with undisturbed panoramic views of the surrounding areas and is considered one of Aberdeen’s ‘must do attractions’.